Standing alone in the middle of rough salt marsh just outside the village of Burgh by Sands, is the King Edward I Monument. 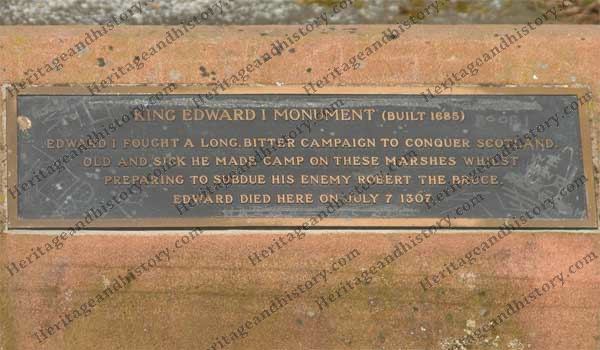 Erected in 1685 as a memorial to King Edward 1st of England (Hammer of the Scots). He planned to unify the kingdoms of England and Scotland by the betrothal of his son Edward to the infant Queen of Scots, the Maid of Norway. His plans fell apart when the young queen Margaret was drowned returning from Norway leaving several claimants to the kingdom of Scotland. When pressed to select a successor, Edward chose John II De Baliol. 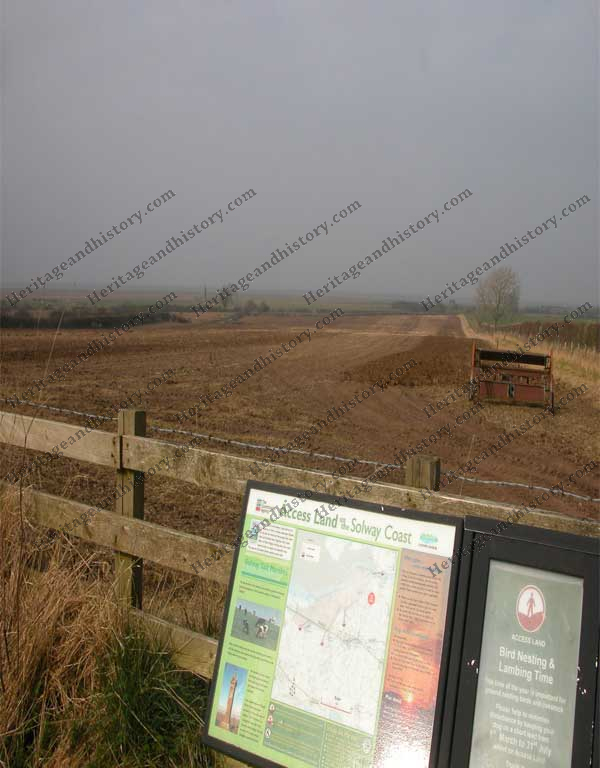 This displeased the Scots and thus the wars of Independence ensued, ultimately won by Robert the Bruce at Bannockburn in 1314.
and made camp on these barren, windswept marshes on his way to do battle once more and subdue his enemy, Robert the Bruce but he was now old, tired and his health poor. He died on this marsh on 7th July 1307. 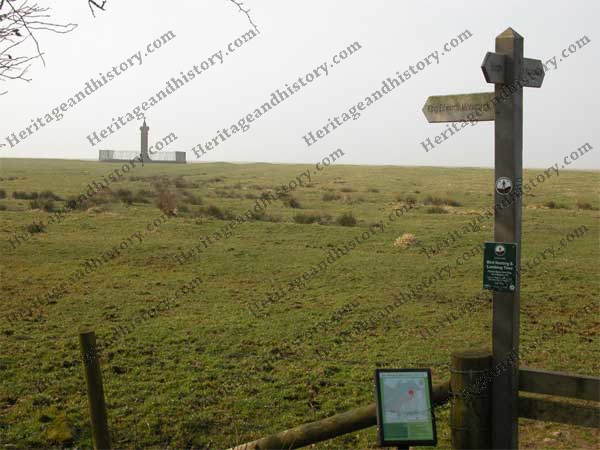 The monument stands in the middle of grazing land about 1 KM from the road. Now surrounded by a metal fence, it is incredibly imposing yet lonely in such a vast space. Two plaques adorn the monument, one toward the top is much older and written in Latin, presumably the original plaque installed when the monument was built. The second plaque is situated at the base of the monument and is a modern day equivalent. From the car parking area, the monument can just be seen in the distance. Here an information panel gives a potted history and directions. A pleasant walk along a dirt footpath, leads to a double stile crossing a small bridge. The marsh ground can be a little boggy in wet weather, so good walking footwear is recommended.